Club Penguin Cheats by Mimo777 Club Penguin Cheats by Mimo777: Club Penguin Welcome's New Penguins! There finally doing more thing for non members now woot! Wow! Those items look pretty smoove! Wait. Isn't that an old background? Dang! Now I only get a hat! they came out! 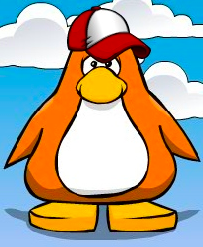 i have them on my penguin!